The index opened flat but saw buying interest to move above 7700, a small dip saw the buyers back to close near the highs at 7708.95, gain of 37.55 points. The broader market was positive with 960 advances to 604 declines. The range for series is at 7400-7900. 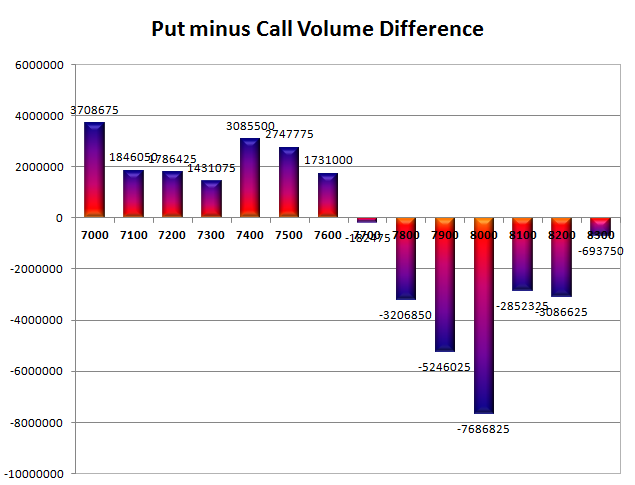 Call option 7700, 7900 added 3.71 lacs OI with short covering seen at 7600 and below strike prices. Put option 7800-7500, 7200-7000 added huge 31.75 lacs OI with profit booking seen at 7400-7300 strike prices. 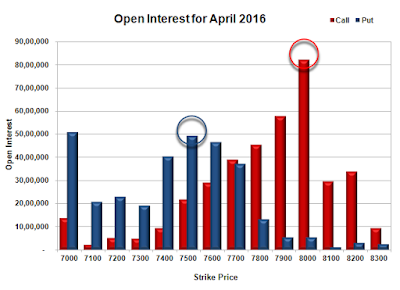 Nifty Open Interest is at 1,48,69,500 down by 5,07,000, with increase in price, most probably huge short covering. 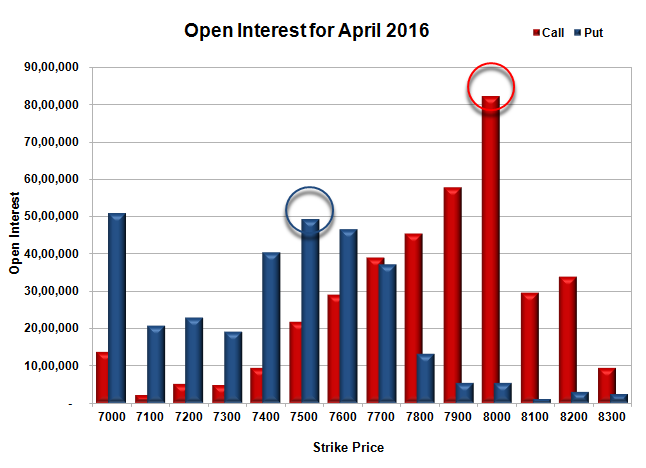 Bank Nifty Open Interest is at 16,44,510 down by 91,890, with increase in price, most probably huge short covering. FII’s bought 2494 contracts of Index Futures, which includes net 4808 contracts long liquidation and 7302 contracts short covering, with decrease in net OI by 12110 contracts, includes 30472 longs to 27978 shorts for the day. FII’s Index future open contract as on date is 119197 Longs to 90169 Shorts, Net 29028 up by 2494 contracts. 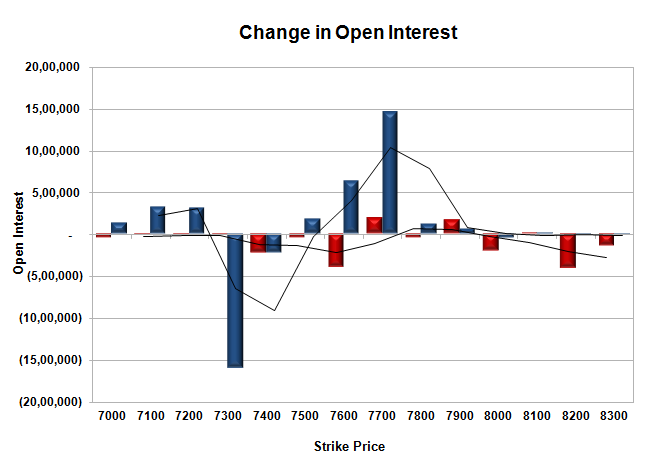 Initial support at 7700, with huge OI addition of 14.59 lacs and below that at 7600 with OI of 46.52 lacs. Initial resistance at 7800, with OI of 45.45 lacs and above that at 7900 with OI of 57.85 lacs. Day Range as per Option Table is 7631 - 7768 and as per VIX is 7644 - 7774 with 7697 as the Pivot.